Hello! In keeping with my blog goals to keep tabs on my monthly progress on here, this post will be the first of my roundups. I'm a little busy later this week, so I'm posting a couple of days before the end of the month and combining my writing progress with a few recent reviews. Trilogy Book 3 - Made good progress on this, and now up to 30,000 words, with about 7,000 added this month. Still working on writing every weekday, but the story is coming together and an end is in sight. In other news, I came up with working titles for every book in my series - something that's usually the last thing I think of! Currently, this one is going by the name of Reckoning. Other writing - I've taken a break from my WIP for roughly the last week to work on my entry for the 2017 IWSG anthology. It's a lot of fun, as this is my first attempt at fantasy, and I'm putting a lot of detail in there. Maybe too much - at first, the 5-6000 wordcount looked large, but as I'm up to 4,500 with a lot of story still to go, I might need to do a fair bit of trimming in order to fit the requirements! Looking at next month, I'm planning to finish and edit the anthology entry, as well as hopefully working on another contest submission with the same deadline (Nov 1), before getting back to my WIP. And now, four reviews of books I've recently read. You can probably tell I'm making an effort to chip away at my TBR list, as they might not be new to many of you, but I'm always glad to give some exposure to great authors! I really enjoyed this novel about the futuristic phenomenon of pop travel, a teleporting technology. This was probably because it's a character-driven story rather than being too heavy on the scientific elements (the latter were still there though and I enjoyed the explanations of Ms Tyler's invention). The main character, Cooper, is a grief-stricken private detective who it seems has nothing to lose and so ends up going after the big boys of the pop travel industry when it turns out that some unfortunate accidents are taking place. The investigation seems to give him a fresh lease of life and he shows himself to be both resourceful and highly likeable. The love interest who is supposed to be tailing him was a nice addition, and I ended up feeling sorry for the "boy wonder" creator of the technology, whose invention has become corrupted by human greed. 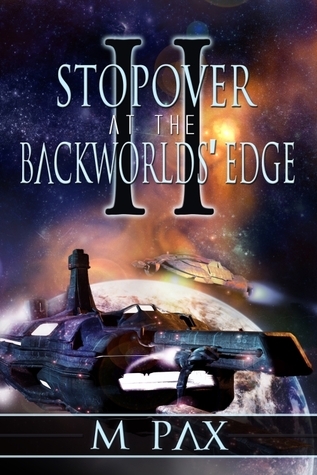 A fun aspect to this novel was its blend of futuristic elements and an old-style "film noir" atmosphere - it took me by surprise that a novel about such a high-tech mode of transport would include a fair few thrilling chase sequences. Looking forward to reading the next in the series! 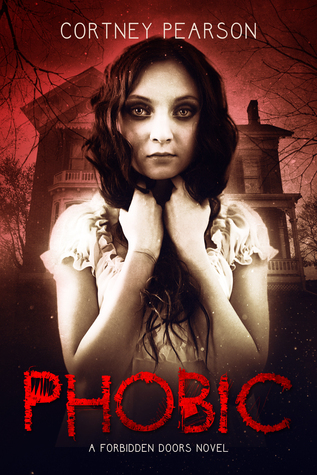 This is a great horror story that's in the YA category but would be enjoyed by readers any age. Although there is a mild amount of grisly gore, it's largely about the atmospherics, like the best horror should be. I really enjoyed the fact that the house is not only a character in this novel, it's a very strong one with quite a moody personality. I liked Piper, who was resourceful and strong despite a troubled upbringing (to put it mildly). I felt really drawn in to the claustrophobia of her situation. Just stopped short of giving this book five stars because I found some of the human characters just a little bit worn (the flawlessly beautiful bullying girl with a crew of cronies, the boy-next-door childhood friend who just might become something more), but this was made up for by the creativity and invention of the central storyline. Recommended! Crystal Collier's first book in the Maiden of Time series is a captivating read that takes place in 18th century England. It looks normal on the surface, but underneath are the legions of the Soulless and Passionate, who are locked in a battle through time. Collier draws us into this world through the eyes of her MC, Alexia, who finds out that she is Passionate, which means that we find things out throughout the book right alongside her. There's also an overarching love story tying things together, some good battle sequences, and a good lead-in to the next books in the series, which I will surely be reading. An excellent book if you enjoy the paranormal. I've been meaning to work my way through this series after reading the excellent first installment a while ago, and better late than never! For me, this is where the characters really bed in and we get to know more about this intriguing bunch. All the good guys are likeable, even Pauder, who comes across as a curmudgeon who still manages to be endearing. Craze is the star of the show though - even if a reluctant one. An anti-hero in a way, all he really wants is a quiet life in his very own bar and to show his pa that he can make something of himself after being ejected in humiliating fashion from his home world. When it comes to it, though, he proves to be resourceful in plotting to defeat his enemies. What I liked about this book is that, even though it's set on a distant moon in some far-flung future where Earth is but a whispered-about myth, the characters are relateable and it's a bit like watching an old-school buddy movie. It moves at a good pace (after a slightly slow start), and there's plenty of action, but the author leaves room for good character development and some quite touching scenes when Craze discovers that someone close to him has been hiding some alarming secrets, and must decide whether to forgive. I'm looking forward to finding out more in the rest of the series. Have you read any of these books? What did you think? Any recommendations? You have made a decent writing progress Nick. I have 2 of the books on my Kindle! Good work on your stories, Nick, keep it up! 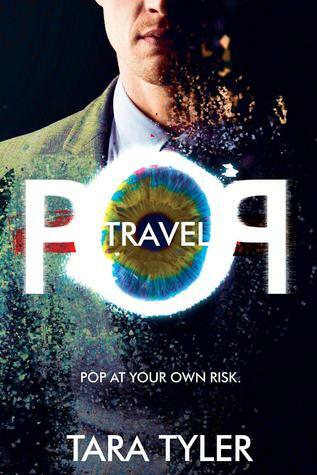 Haven't read any of the books yet, though "Pop Travel" is quite familiar to me from around the blogosphere. Glad you enjoyed your reading, too! Awesome that you are writing so much and making your goals. And that you're trying a new genre for the anthology. I've never tried to write a short story. I know all of those authors! Very cool you are working on an entry for the IWSG Anthology Contest. Good luck. You're making great progress with your writing. Much better than I am. way to go with your writing progress! i wish i could do more than slowly chip away. i hope to enter something for the anthology too. good luck to us! and thanks so much for not only reading PT but for the wonderful review as well!! and i love reading the other reviews too! great to hear your thoughts! You're doing great with your writing! I've been playing around with short stories lately and finding it a real challenge to squeeze everything I want to say into 6,000 words or less. Good luck with the IWSG contest! Fantasy is SOOOO easy to write long. And so fun. Way to make some epic progress on your writing goals! I haven't been doing much of that this month, unless it was promotional. Whew! Seasons for all things, eh? Excellent on getting all those titles done - I always struggle with titles. Awesome writing progress! Good luck with your IWSG story. I'm still trying to probe my muse for an idea. I've read three of those books. Fantastic reads! Congrats on plugging along with the writing, that's great--and trying out fantasy. That's great about the progress you have been making in your writing! Interesting array of books you have read lately. I haven't read any of them, but some sound very interesting. Good job on the progress! That's a lot of great reviews. I need to keep knocking books off my to-read list. Sounds like you're making pretty good progress. Congrats. It's tough to keep the word count for the anthology between 5,000 - 6,000 words! I had to do a lot of trimming last year. Good luck! Well done with your writing progress as well as getting through some of your reading stack. I've been trying to do that too, the reading that is. Those piles seem to become towering after awhile. Good luck with your anthology entry! You've been busy and I'm impressed with the amount of work you accomplish.I think it must truly help to chart your progress each month. An idea, perhaps I need to implement. Best of luck with the anthology. Thanks for the reviews . I'm eager to read Pop Travel and Phobic. Another blog with reading reviews. Nice! I need to do that again. 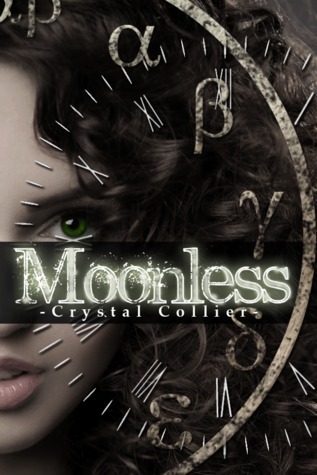 I loved Crystal's first book in that series. I need to make time to read the others. Good news on the writing front, Nick. And how great that you're entering the next anthology. Good luck and I'm looking forward to reading the book when it comes out. Coming up with titles is one of my favorite challenges. It's at least as important as the rest of the story.